Nestled in the picturesque Yarra Ranges, this 10 acre haven offers seclusion and luxury with breathtaking panoramic views. Mount View Estate is the quintessential destination for lavish Friends & Family Retreat Gatherings and superior Accommodation. This Yarra Valley world class getaway is perfect for business or pleasure, offering a unity of style, inspiration and splendour. It offers one of the most luxurious escapes in the region. From the first moment arriving at the automated gates, it's the attention to detail that sets Mount View Estate as supreme in perfection; an impressive front entrance with large rare mudstone rocks and a grand automated double gate with private pin code access. Surrounded by natural Australian landscaped gardens with striking water feature will bring peace, balance and harmony. The valley is a kaleidoscope of colours all year round; bathed in soft golden light in spring and autumn, morning mists of purple in winter, brilliant blue sky summer days and romantic moon soaked nights. The all-season outdoor pavilion area exudes the sophistication of a Balinese resort and the intimacy of a secluded retreat. The exotic blend of Balinese and Mediterranean design creates an atmosphere of elegance and sheer indulgence. The alfresco dining deck and leisure pavilion afford stunning views of the mountainous landscape and sit alongside the unique horizon pool and spa (spa is heated all year round, pool is solar heated). The venue suits both intimate and private gatherings. 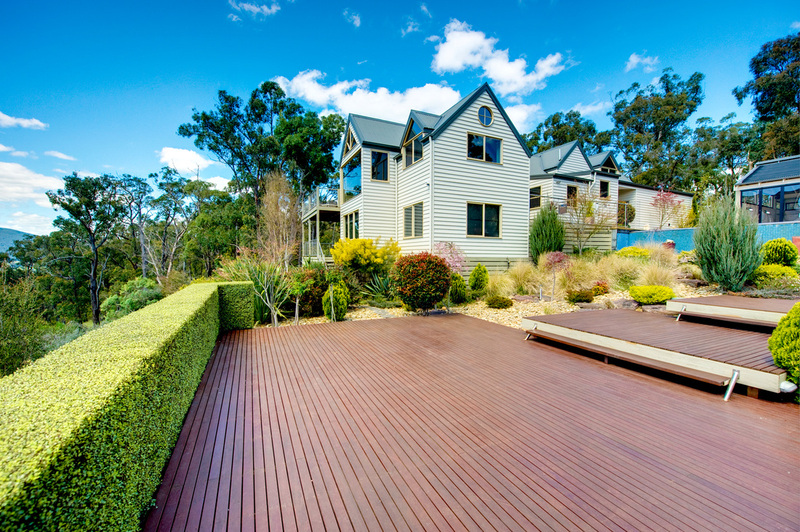 The striking modern hill-side decking adds distinctive sophistication to the Yarra Valley property, perfect for achieving that special 'wow' factor for your luxury escape. The design is contemporary yet natural with three Mirboo platforms set below the horizon edge pool, spanning across a gently sloping hill with landscaped gardens. The end of the decking overhangs a steep decline to offer guests spectacular views and tranquillity. The long pavilion is edged with an endless view overlooking the horizon pool capturing a sense of calmness. Overhead heaters and a contemporary gas log fire create a warm setting in the colder months, with ceiling fans and mountain breezes to cool on a balmy summer’s night. An industrial BBQ, outside male and female amenities, a fully-equipped bar with ice machine and built-in large refrigeration complete the services. The pavilion is protected for all seasons with removable upright custom made weather screens. Two large extendable electric awnings out to the pool (3.5 m x 12 metres), offer another shade alternative. Mount View Estate accommodates for all guests. The imaginative and innovative old-world architecture combines classic charm and contemporary refinement, inviting guests to relax in exceptional comfort. Well appointed with high cathedral ceilings, state of the art modern conveniences, flat screens with DVD in each bedroom, a fully-equipped kitchen, two balconies, ironbark timber floors, large mahogany pool table, large flat screens in the living areas and a zoned surround sound system throughout. Reverse cycle air-conditioner/heater and three levels of spacious living areas overlook the magnificence of the valley below. A large extendable electric awning out to the pool (3.5 m x 12 metres), offers another shade alternative. 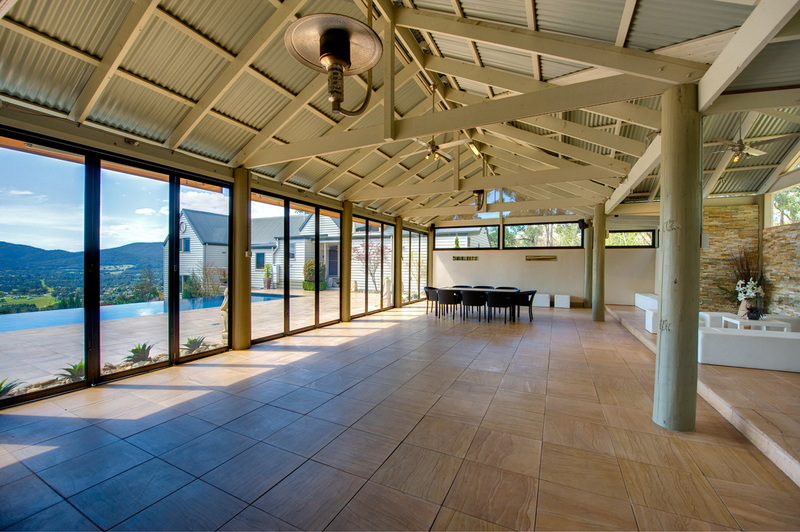 Mount View Estate accommodates for all guests. 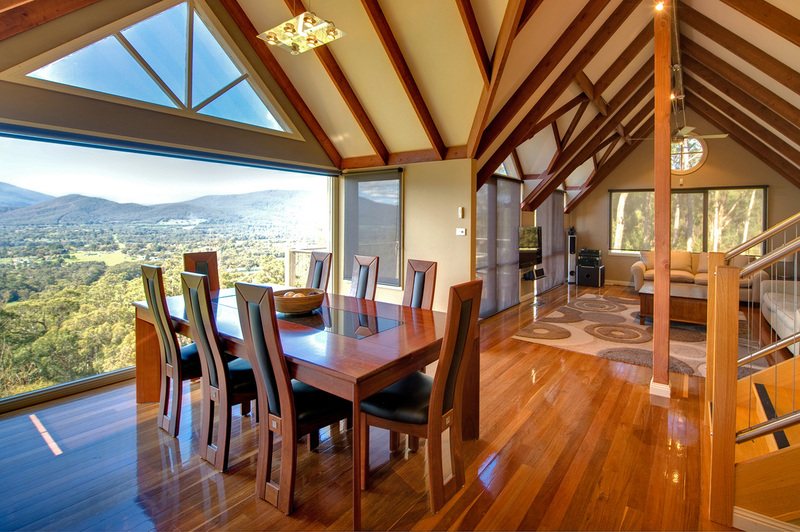 Mount View Estate, a Yarra Valley Retreat with a difference. The Estate is home to OXYMAX, and Australian owned health and wellness company producing high quality stabilised oxygen concentrate and a natural skincare range fortified with oxygen. Visit www.oxymax.com.au. Whatever your needs are, Mount View Estate will tailor a package for you. We offer group accommodation, retreat gatherings, corporate escapes or other individual requirements by request. Contact us for more information.